"Sam, could you do me a favor?" Thus begins a story that has now become part of America’s true crime hall of fame. It is a gory, grotesque tale befitting a Stephen King novel. It is also a David and Goliath saga-the story of a young lawyer fresh from the Public Defender’s Office whose first client in private practice turns out to be the worst serial killer in our nation’s history. Sam Amirante had just opened his first law practice when he got a phone call from his friend John Wayne Gacy, a well-known and well-liked community figure. Gacy was upset about what he called police harassment” and asked Amirante for help. 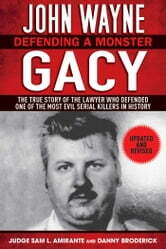 With the police following his every move in connection with the disappearance of a local teenager, Gacy eventually gives a drunken, dramatic, early morning confession-to his new lawyer. 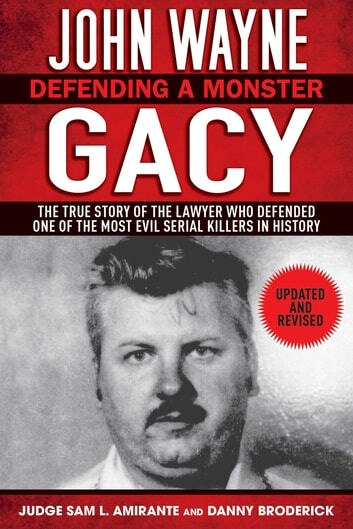 Gacy is eventually charged with murder and Amirante suddenly becomes the defense attorney for one of American’s most disturbing serial killers. It is his first case. This is a gripping narrative that reenacts the gruesome killings and the famous trial that shocked a nation.